Secure messaging service has been an essential feature for all messenger apps which are been used worldwide on several types of smartphone running on different Operating Systems. But what is meant by "secure messaging?" What are the criteria for secure messaging? Here are the factors which determine if a messenger app is really a secure one. Missing out any of these following aspects would cut it short from being listed among the fully secure messenger apps. Encrypted messages are the ones which can't be read by anybody else other than the selected recipients even when they are being intercepted during the processing at the exchange. The messages are encrypted before they leave the device. 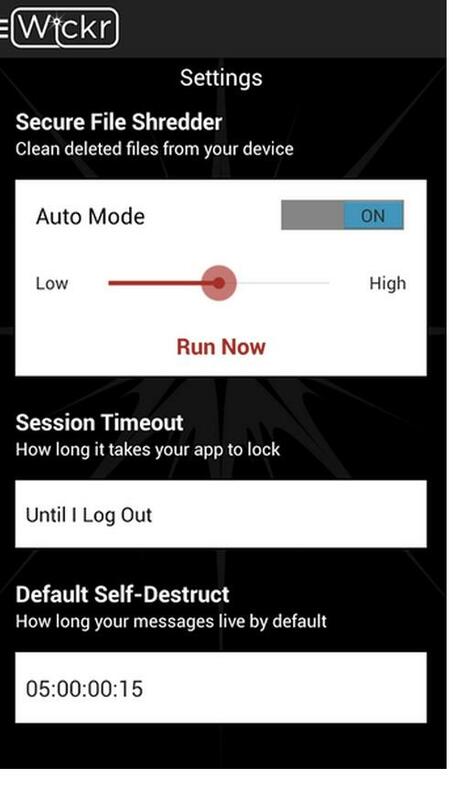 Today some of the messenger apps are having self-destructing functionality that allows to send messages and they get automatically deleted once they have been read by the recipients. Here I have shortlisted Five best messenger apps that would go with either or most of these OS. Developed for Chrome by the Open Whisper Systems, Signal is a fully encrypted instant messaging and voice calling application that is compatible with Android and iOS phones. The app has end-to-end encryption feature to ensure security for every kind of communication that the users would be using. Signal sends and receives encrypted instant messages, among both individual users and groups, which can contain attachments as well as any media file. Signal has kept it as an open option where users are allowed to verify the identity of their message receivers independently by the out-of-band comparable key fingerprints options. To ensure advanced security options Signal has enabled the option of users checking the integrity of the data channel whether two words match on both the ends during a call. Moreover Signal publish their clients as free and open-source software under the GPLv3 license. Signal endorses advanced end to end encryption protocol that ensures privacy for each message sent and shared by its users. Signal maintains itself as a Free and Open Source app, that uses open source peer-reviewed cryptographic protocols where any user has the freedom to verify the security of their communications through auditing the code. 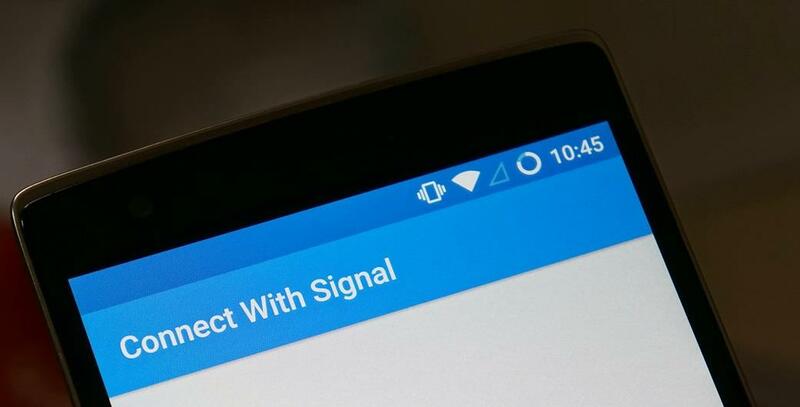 Signal uses its users current phone number and their contacts. Its easy and quick and simple as there is no need to generate separate login details, or PINs to remember or forget. Through Signal users are allowed to create any number of encrypted groups with whom one can have private conversations at the same time. Apart from keeping the messages encrypted, Signal has also made sure that their server never gets any access to any group metadata like the membership list, group icon or group title. 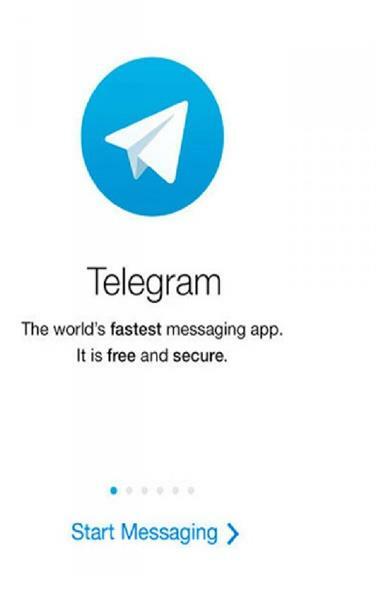 Developed by the Russian-born entrepreneur Pavel Durov, Telegram has been developed as a cloud-based instant messaging service where the clients are for all the major mobile Operating systems like Android,Windows, iOS and Ubuntu Touch Phones. Through Telegram Messenger users can send and receive messages sharing photos, videos and any type of media files. Telegram ensures end-to-end encrypted messaging, but it is optional and there is a home-brew nature of this software which are been contested by cryptography and security specialists. Telegram boasts of maintaining an open-source software for its client-side codes, while its server-side code is a closed-sourced one and is proprietary. The service even provides APIs to independent developers. It destroys messages within a stipulated time with the help of a timer. It stores every media file of yours in the cloud. BlackBerry Messenger or BBM, developed by BlackBerry Limited was first released in August 2005. 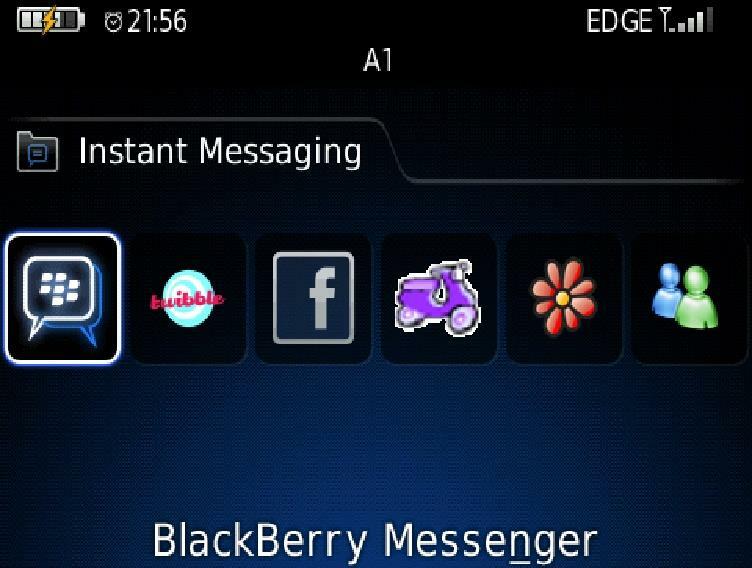 It has been launched as a a proprietary Internet-based instant messenger with video-telephony application to be played on BlackBerry devices. BlackBerry Messenger is currently a free app that allows messaging and voice calls between users of BlackBerry, Android and iOS. Through BlackBerry Messenger messages can be exchanged by one to one users or in the form of dedicated discussions and chat groups. Apart from text-based instant messages, this app has the options to send and receive images, audio recordings, media files up to 16 MB and share real time location on a map. BBM Video calls can be made and users can also Share their Screen through Wi-Fi or mobile network. Sending and receiving messages are given unlimited length. Users can select a personal BBM display picture and share their status. One can add contacts by scanning the QR Codes and use the NFC technology or share PINs. A wide range of beautiful stickers and emoticons add up some spice to the app. Wickr Me is an instant messenger application developed in San Francisco. This instant messaging app lets you exchange end-to-end encrypted messages containing photos, videos, and file attachments. It has its content-expiring feature enabled to ensure safety and privacy of the users. The software goes well with Android, Mac, Windows, Linux and iOS operating systems. The app removes automatically every deleted content like messages, images, and videos from the device. There is a Setting Option in the app to select the expiration time for every message that has been exchanged. You won't find any Ads at all in the app. The app says that address book of the users would always remain private and never be stored on their servers. The Wickr ID of every user will remain anonymous to the Wickr people and to everyone outside one's Wickr network. ChatSecure is a messaging app that is available free for download in the Play store and it has an open source feature along with OTR encryption added to the XMPP. So with the existing accounts on Google, one can create new accounts on public XMPP servers or connect to one's own server to gain extra security. Mentioned above are the most secure apps which have their primary focus the security of your conversation and data and maintaining your privacy. There are other honorable mentions too like Whatsapp which recently enabled end-to-end encryption (a over due feature to be honest) but the above apps started their journey with strong cryptographic code and that is why we have chosen to give them the higher place in our list. Let us know if you know of an app which offers even more secure way of instant messaging and we would love to add it to our list!